Industry News Archives | Pentaflex INC. Industry News Archives | Pentaflex INC.
July 17, 2017 /in Industry News /by Pentaflex Inc. The new US administration has brought with it a number of proposed changes. One of these changes involves updating the North American Free Trade Agreement (NAFTA) between the United States, Mexico, and Canada. As the Motor & Equipment Manufacturers Association (MEMA) represents 1,000 vehicle and component manufacturers and suppliers, the organization aims to educate policy makers on the current role of NAFTA in the supply chain. According to MEMA, the vehicle manufacturing sector is the largest of the US industrial segment, employing more than 871,000 Americans directly. When factoring indirect and supporting jobs, the number rises to 4.26 million jobs supported by motor vehicle parts manufacturing. This is a major factor to consider when reorganizing trade deals and strategies. For this reason, MEMA has submitted comments to the US trade representative highlighting the benefits NAFTA has had in the development and growth of North American motor vehicle supply chains. Currently, suppliers in this segment depend on an international network of vendors and customers to maintain their competitive edge. Even within individual companies, there are often multiple plants located in each of the NAFTA countries. This freedom of trade and commerce has allowed US manufacturers to thrive, which has led to increased employment and productivity within the US. This is an exciting time for the vehicle design and manufacturing sector, as researchers continue to innovate with new processes and technologies. Autonomous vehicles aren’t the only advancement – though strides are being made in this area – collision avoidance systems, vehicle-to-vehicle communications, fuel efficiency and alternative fuels are all important developments that rely on strong economic support. Keeping costs low by working with other nations allows US manufacturers to invest more heavily in these high-tech improvements. The role of MEMA is to foster growth among vehicle manufacturers, and NAFTA has been an integral component of this mission. While the Association supports efforts to strengthen US manufacturing, they want to be sure that all sides are well considered before action is taken. This is a delicate proceeding that could potentially impact millions of workers. As Pentaflex is a manufacturer of heavy vehicle components, we are monitoring this topic to see how everything plays out. Would changes to NAFTA impact your business? Feel free to discuss this topic with us on Twitter. We look forward to hearing your thoughts. May 1, 2017 /in Efficiency Standards, Industry News /by Pentaflex Inc.
Reducing harmful emissions from engine exhaust has been a goal for years, with new designs and energy sources constantly being introduced to combat pollution. Recently, numerous government agencies petitioned the EPA for stricter regulations surrounding nitrogen dioxide (NOx) emissions. Specifically, the EPA regulations would target heavy duty on-road trucks, buses, and other similar vehicles. The last such NOx standard revision was put in place in the year 2010, and limited NOx emissions for truck engines to 0.2 grams per brake horsepower-hour. The next set of revised regulations would be implemented in 2024. The California Air Rescue Board wants to see the NOx limits reduced to 0.02, which would be a 90% reduction. But lowering certain emissions is easier said than done – especially since NOx is just one of the pollutants that regulators seek to decrease. Current recommendations call for lowering CO2 emissions – to create an engine that meets both of these goals is very difficult for engineers. In addition, manufacturers are tasked with boosting fuel efficiency. Running engines at a higher temperature boosts efficiency but also increases the amount of NOx that’s released, so there are a number of challenges to work around in order to meet proposed regulations. Notably, installing selective non-catalytic reduction or selective catalytic reduction systems can limit emissions. So it is possible to produce or retrofit cleaner engines on heavy equipment, it’s just a matter of updating current systems and finding the right options for each situation. With the proposed nation-wide regulations on the way, it will be interesting to see what other developments are considered to solve this problem. 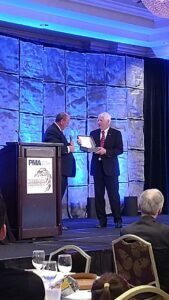 April 18, 2017 /in Awards, Industry News /by Pentaflex Inc.
Pentaflex is proud to announce that our President and CEO, David Arndt, was recently elected Chairman of the Precision Metalforming Association (PMA). 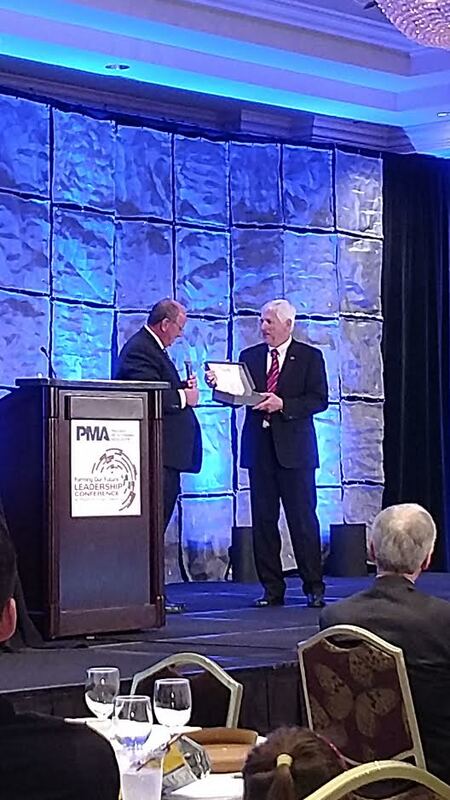 The election was held on March 11 at PMA’s annual meeting in Dana Point, California. Big accomplishments like this don’t happen every day, and we are proud of this distinction. The PMA is the metalforming industry’s primary association. The Precision Metalforming Association is highly regarded for its innovative tactics and has a history that is long and distinguished, dating back to 1913 in Cleveland. The PMA comprises almost 900 member companies. The large association encourages excellence in competitiveness and cost-effectiveness amongst its innovative members via tools that include networking, statistics, advocacy, trade shows, and seminars. At Ohio-based Pentaflex, we cheer one another on as metalformers. Thus, the official announcement of our President as the new chair of an association that our company so proudly belongs to is very exciting. David will lead the national association for the 2017-2018 term year. As Chairman, David will have the opportunity to apply the strong skillset he uses to drive Pentaflex forward, now with an even larger influence as he presides over the Precision Metalforming Association. Being trusted in such an important role is impressive, and we commend our President for his fantastic achievement. At Pentaflex, we will continue to deliver top-quality metal stamping services to customers, during David’s term as chair and beyond. For over 40 years we have been a provider of precise metal components for a range of metal stamping industries, such as agriculture, medical, energy, and automotive. With an established reputation for providing value-laden products and the recent appointment of our President to the esteemed PMA, Pentaflex stands strong in 2017. April 25, 2016 /in Events, Industry News /by Pentaflex Inc.
Manufacturing advocates met with legislative representatives at the eight-annual NTMA/PMA One Voice Legislative Conference in Washington, D.C. earlier this month. Unified as One Voice, the PMA (Precision Metalforming Association) and the NTMA (National Tooling and Machining Association) took advantage of this opportunity to be heard on Capitol Hill. Pentaflex President and PMA Vice Chairman David Arndt was in attendance at the conference and helped to convey important messages about the major issues facing U.S. manufacturing interests right now to representatives from the U.S. Senate and Congress. Dave met with Senator Rob Portman and Congressional Representatives Jim Jordan, Brad Wenstrup and Marcy Kaptur. The three key messages that were promoted by the PMA representatives and other manufacturing advocates at the meeting were related to tax reform issues, training and recruitment for manufacturing jobs, and regulatory issues. According to the One Voice newsletter published by the NTMA and the PMA, the specific message to Congress about regulatory issues was, Federal regulators must comply with small business review procedures and honestly analyze how their rules impact the economy. Congress should work to block or repeal unnecessary, ineffective, and harmful EPA, OSHA, and NLRB regulations while working to reform and make transparent the regulatory process. The detailed requests related to regulatory issues were designed to stimulate manufacturing in America, including a request for the EPA to withdraw ozone, power plant and water rules, plus a request that regulators should comply with the Small Business Regulatory Enforcement Fairness Act (SBREFA), Administrative Procedures Act, and Regulatory Flexibility Act. The message to Congress about manufacturing jobs was a request to support manufacturing in America by supporting workforce development, job training, recruitment, and placement programs. Additionally, the manufacturing representatives and advocates asked Congress to support skills certifications and national industry-recognized employee credentialing, in addition to expanding the local involvement of small/medium sized manufacturing in the implementation of WIOA (Workforce Innovation and Opportunity Act). Regarding tax reform, the main message was, Dont leave small businesses paying the bill! Tax reform is requested for all manufacturers both C-corporations and pass-through businesses. The One Voice newsletter reports, The only way to grow the economy is through a simplified code that encourages domestic investment with a globally competitive rate. Please stay tuned to this blog in the upcoming months. 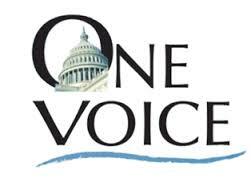 Well continue to keep you posted about any progress made as a result of the One Voice Legislative Conference. 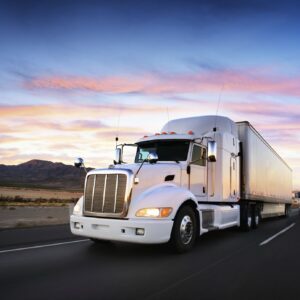 As a contract manufacturer of metal stampings and assemblies, Pentaflex supplies the commercial truck, automotive, medical and off-road industries, in addition to other manufacturing industries, and were directly impacted by — and invested in — the future of manufacturing in America. November 6, 2015 /in Events, Industry News /by Pentaflex Inc.
FABTECH, North America’s largest metal forming, fabricating, welding, and finishing event, is the industry’s premier show and conference. Drawing over 40,000 attendees with over 1,500 exhibitors, this is the place to see the newest products and innovations, find the tools you need to be productive, and to meet with industry professionals for technical seminars and expert panel sessions. Pentaflex will be attending the event again this year, which will be held on Nov. 9th to the 12th at McCormack Place in Chicago. We have attended the show for many years as it is a time for us to connect with others in the industry and with past, present, and future customers. It is here that we get to see the latest trends and newest technology going on within the metal forming, fabricating, welding, and finishing industries. One of the most exciting events is the awards ceremony. The industry recognizes manufacturers who have excelled in certain areas over the past year. For two years in a row Pentaflex has been the recipient of numerous Precision Metalforming Manufacturing Excellence Awards! In 2014 we were selected as the winner in two of seven categories, Safety and Education-Training. In 2013 we were awarded the top prize in the categories of Productivity and Quality Systems. It is truly an honor to be recognized by our peers for the work that we do. We are looking forward to another year of immersing ourselves in the world of manufacturing outside of our facility. From the exhibits to the panel discussions, the hottest topics in manufacturing are on the table and we are eager to experience all that is new at the event. For more information on Pentaflex’s capabilities and services, please contact us! If you are interested in attending this year’s FabTech event, please click here.